So now that we see how simple a gluten free diet can be, and we have a plan of action for our gluten free diet, how about some gluten free recipes? We all tend to get pretty wrapped around the axel when it comes to our health and diet, and going gluten free is certainly no exception. From testing ambiguities to eating challenges, it can seem overwhelming. Unless you think you may be celiac, simply try eliminating gluten foods from your diet and gauge how you feel. That's the ultimate test, does it make you feel better, healthier, more energetic? Do digestive issues resolve? And if so, start incrementally by eliminating bread, pasta and cereal and begin choosing more naturally gluten free foods instead. These recipes are either naturally gluten free or created with gluten free ingredients and/or recommendations for gluten free substitutions. Got Recipes? Share your favorite gluten free recipes too! Share your best gluten free food finds and recipe favorites too. Yes, absolutely, please do share your "tried and true" gluten free recipes with us too. For anything and everything and especially that holy grail of gluten free bread recipes that we've yet to unearth! Give us the full skinny: cooking tips and tricks, the story behind the recipe, which ingredients and why, or even photos of your gluten free creation. Give us the lowdown on why this gluten free recipe makes the grade at your house. Feel free to share helpful stories, tips and details about it. 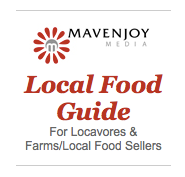 For example, cooking tips, where to find ingredients, or favorite pairings and menus. 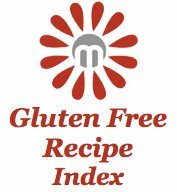 Click on the links below to read, rate and comment on others' "tried and true" gluten free favorites.